You are currently browsing the archives for the $3001 to $5000 category. 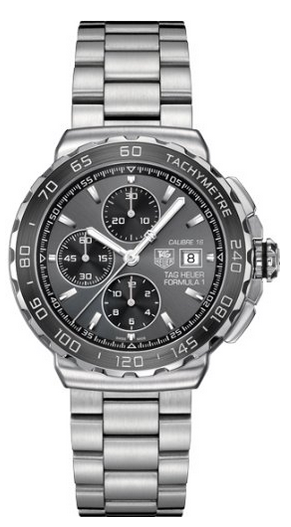 The rugged Aquaracer 500m chronograph by Tag Heuer symbolizes the trill of diving. It is a very practical luxury timepiece to wear with features like 500 meter water-resistance, magnified lens over the date and grips on the bezel. 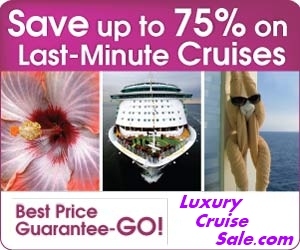 It is a beautiful design compliments its functional features. The face features luminescent markers and subtle highlights on the chronograph counters makes this watch ready for any adventure. 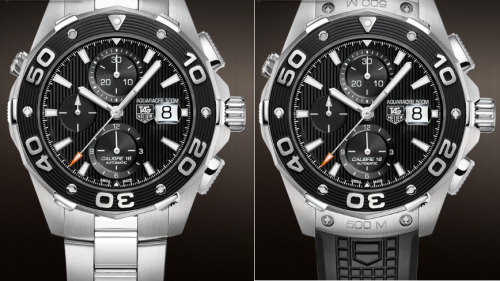 The Tag Heuer Aquaracer 500m is a useful tool for anyone who is an avid diver. The Aquaracer (WAF1313.BA0819) from TAG Heuer’s is an exquisite timepiece that fuses the durability and brilliance of diamonds with detailed meticulous craftsmanship. The Aquaracer is a watch made for the distinguish woman and features the accuracy of quartz movement. It is water resistant to an astonishing 984 feet (300 M) and with the 42 sparkling diamonds on the bezel and the 10 diamond hour markers on the white mother of pearl dial this makes the Tag Heuer Aquaracer the ultimate luxurious accessory for any woman. The glowing hour and minute hands and a scratch-resistant sapphire crystal solidifies the luxury yet classic look of this TAG Heuer original design. 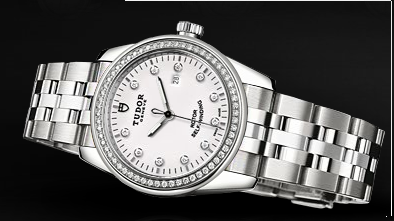 The Tudor Glamour Date luxury diamond watch is a wonderful classic style timepiece. 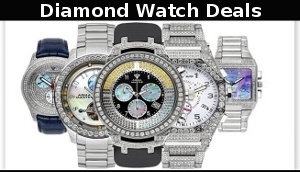 It features a self-winding mechanical movement and a double bezel in stainless steel set with 60 diamonds. Just exquisite and if 60 diamonds is not enough 11 more diamonds round out the hour markers on the dial (face) made of sapphire crystal. A medium size knurled screw down crown aids in changing time and date easily and the Tudor Glamour Date diamond watch is waterproof to 100 meters with its water tight stainless steel 31mm case. 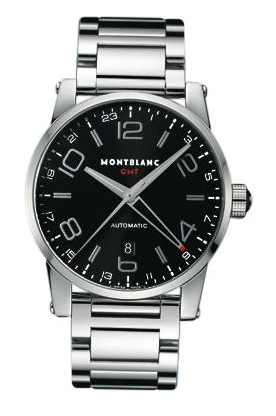 The Mont Blanc Timewalker GMT Automatic is a stainless steel luxury watch that features a 42mm case, black dial and a stainless steel bracelet. The Timewalker GMT Automatic watch also features an automatic movement with date and GMT function and is water resistant to 30 meters.